Jillian first began her practice of yoga in 2010 when she was looking to add variety into her workout routine. Growing up an athlete, she quickly noticed the benefits of strength and flexibility as a result of her yoga practice. 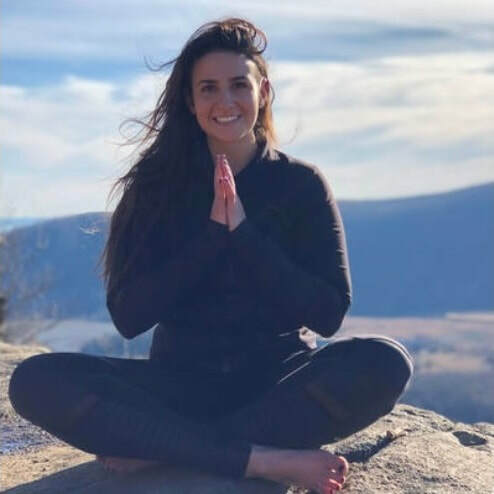 Deeper than just the physical benefits, Jillian found the more she committed to her practice, the more challenging mental aspects of staying present and moving with intention began to manifest in Jillian’s day to day life. It was these changes that created a deep appreciation and respect for the practice and a yearning to share the practice with others. Jillian completed her YTT -200 hr through the Lila Tandava Teacher Training offered at Tovami Yoga in 2017. Her fortune to be taught by a variety of knowledgeable teachers with backgrounds in Anusara, Ashtanga, and HATHA traditions have influenced her style of teaching to be a unique vinyasa blend. Additionally, Jillian is certified in Level 1 Meditation, Prenatal Yoga and a Holistic Doula.